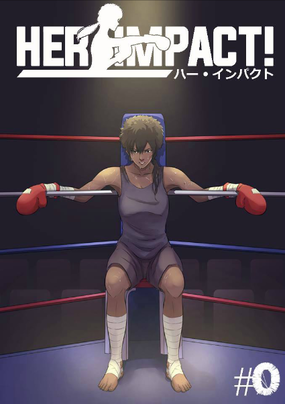 Sadie Hiroshi, an African-Japanese woman, who took over her father’s legacy in boxing. She’s a single mother and having a hard time in life with her profession. 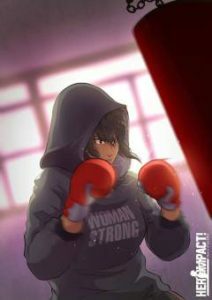 With these things currently going on in her life, what will be the impact of boxing on her? 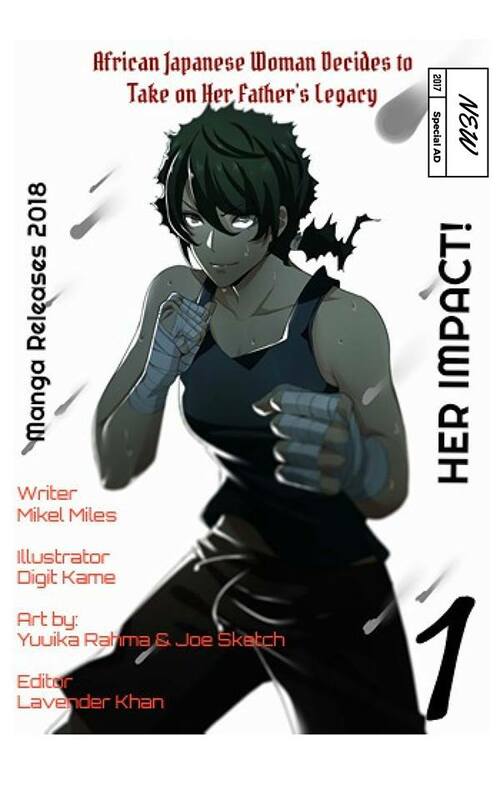 Her Impact is styled after traditional Japanese Manga, with the exception that you can read the book front to back, so fans of the genre should understand if the title gets off to a slow start. While American readers will be waiting for Sadie to go “Super Sayan” and start leveling mountains, audiences more familiar with the form understand that manga often embraces more mundane subjects, with a “slice of life” attitude. 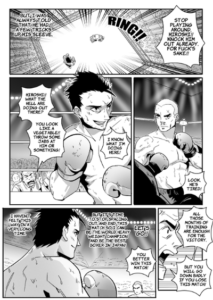 This is Sadie’s story, and issue #0 works to give readers a starting point from which even less experienced manga readers can get their “sea legs”. Mikel Miles gives the readers a peek into Sadie’s daily life, and makes it pretty obvious that she’s less than satisfied. 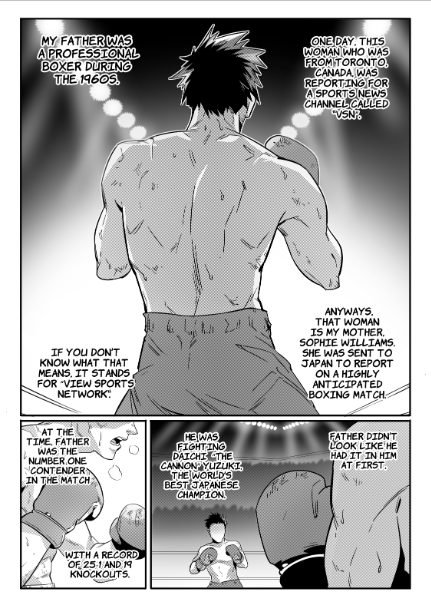 Miles also shows us Sadie’s dedication to her son Aiden, through her willingness to fall for the old “buy me manga if I pass my English test” scam (see there… manga within a manga). Basically, Miles makes use of this demo issue to give American audiences a quick intro to the style he’s adopted. To some, the dialogue might feel a little off. 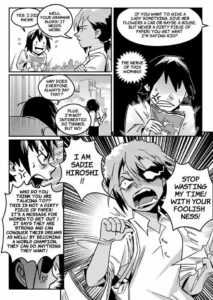 While I can’t claim to be the manga expert that my daughter is, I have read enough to know that the odd speech patterns and quick shifts in attitude are to be expected. I expect that coming from Japan it could easily be attributed to a combination of the Japanese to English translation, as well as the many cultural differences. All I can say is that so far as I can tell, the purists out there should be pretty happy with Mikel Miles’s work. I have to give him some props for tackling a form that’s pretty specific, and spending the effort to do it justice. 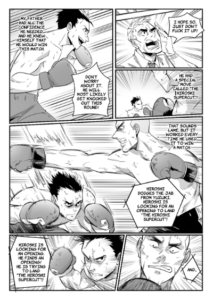 The art by Sukma Agustriyana & Digitkame is pure manga, with all of the little quirks and symbolisms fully intact. Characters are drawn with sharp detail, every one given some little tweak to set them apart (for Sadie it’s a darker complexion and two-tone hair). While Sadie doesn’t get put through much in the way of action in this issue, we are given a look at what the boxing scene is going to look like through a flashback to one of her father’s matches. 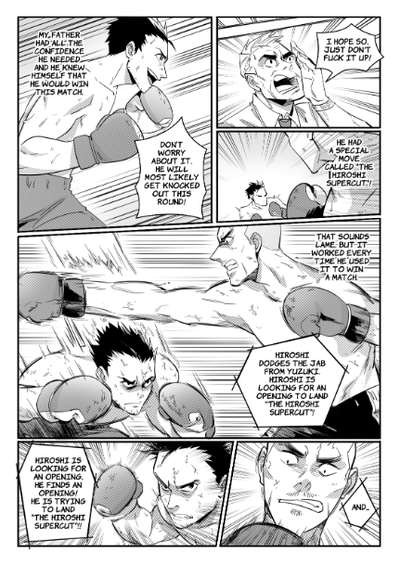 Through heavy use of blurring and action lines, readers get a sense of the speed of the match, even if that pace is broken up by oddly placed dialogue. Again, this is MANGA- if you’ve ever read or watched Dragonball Z, you know that a single fight can take up half a book/episode because of Goku’s tendency to get a little chatty with his opponents. Manga may not be for everyone, particularly if you don’t give yourself the chance to get used to its idiosyncrasies. 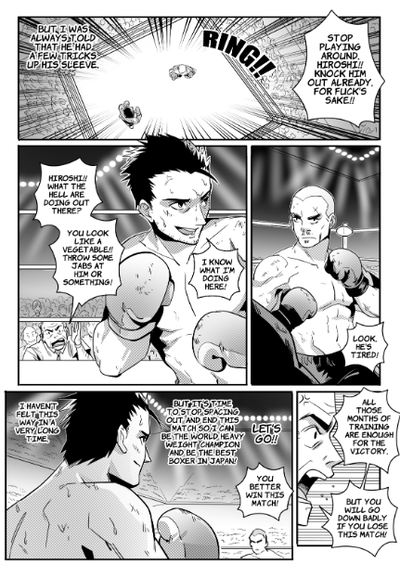 The fact is that Japan doesn’t treat their comics the way we do in the U.S., or just about anywhere else. In many circles it’s given the same weight and loyalty that some will give to a long running soap opera. It’ll feature many of the same attitudes, embracing any and all subjects you can think of. Her Impact adheres to all of those sensibilities, and should be able to find an audience among manga enthusiasts.